Yesterday we had to take our son Simon to work in Johannesburg, and as Val had a couple of days’ leave we decided to visit her cousin Margaret, who, we had recently discovered, lived much closer than we had thought. After catching up on family news we drove through Krugersdorp to Magaliesberg, where I went to school from age 9 to age 11. I went to the Mountain Lodge Prep School, which was one of those private, for profit proprietary schools, and illustrated both the best and worst features of capitalism in education. The best was that we had small classes, and some interesting and exxentric teachers who might not fit in with all the rules and regulations of official government schools. The worst was that the school went bankrupt, and closed at the end of 1952, throwing the teacvhers out of work and the pupils out of school, amid rumours that the bursar/proprietor, Mr Burnford, had absconded with the funds. The school buildings are now used as a Salvation Army hostel, but there I a high wall, so it was hard to see whether there had been many changes in the buildings. Some things had not changed much, though. The approach road was much the same. 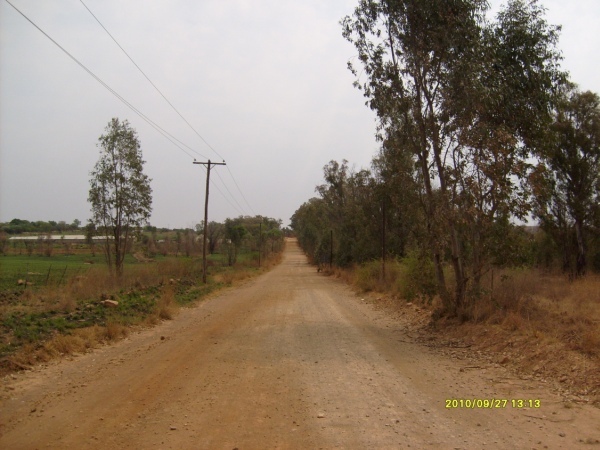 The trees may have been chopped down and grown again several times, and the three-phase electricity may not have been there, and there was probably a farm-line telephone wire there in its place, certainly the school was on a farm line, and the phone was a big wooden box fixed to the wall with two bells in front. And the view was much the same as well. That was the view I saw most days for three years. The hill with the pimple on top is the western end of the Magaliesberg, and acording to my atlas is 1588 metres above sea level. And we used to ask each other what we would do if a hundred or a thousand or some number of fierce armed North Koreans appeared over the edge of it rushing towards us. The North Koreans were the foe du jour (that, like the hills and the trees, hasn’t changed much). as we learned from publications like Popular Mechanics, which showed by means of diagrams how the American air force dropped napalm bombs at each end of railway tunnels while a train was in the tunnel, thus suffocating or incinerating the people on the train. I later discovered that one of my Cottam relations was killed in the Korean War. He was John Frederick Oliver Davis, whose grandmother was Lily Cottam, sister of my great grandmother Maggie Cottam. He was in the No 2 Squadron of the South African Air Force (the Flying Cheetahs), and went missing on 10 March 1951. 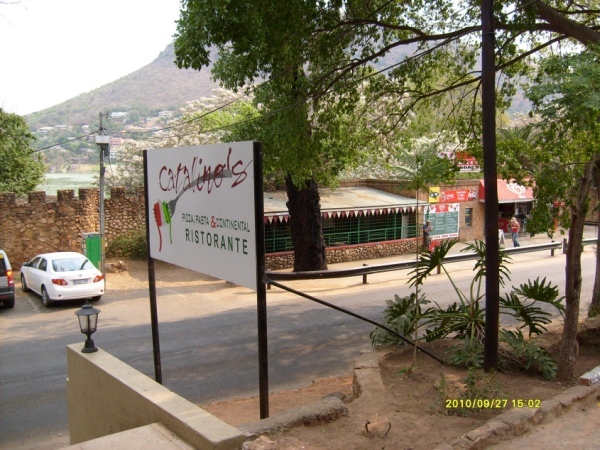 Then we drove back to Pretoria, stopping at Catalino’s restaurant at Hartebeestpoort Dam for lunch, with the syringa trees all in bloom. 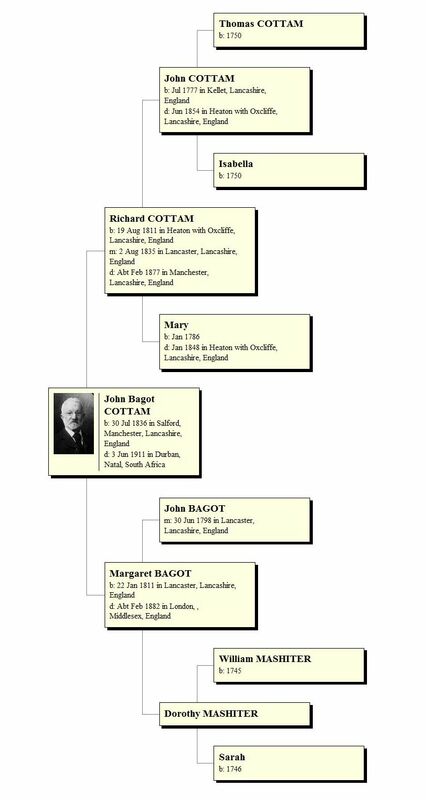 Yesterday I found another generation of my Cottam family in the Lancaster area, and so was able to link to a lot of descendants. My great great great grandfather, Richard Cottam, was born at Heaton-with-Oxcliffe, near Lancaster, but I had not been able to find his baptism, and thus his parents. At the LDS Family History Centre in Johannesburg I ordered the film of church records for St Helen, Overton, and found Richard Cottam was baptised there in 1811, along with 10 siblings, including his brother Adam Cottam, whose whole family I had recorded in censuses etc, without knowing how he was connected. 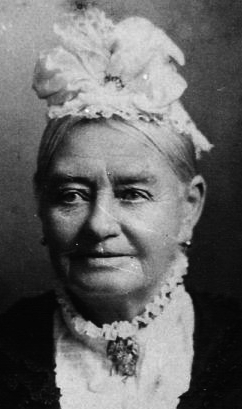 They were the children of John and Mary Cottam, John being recorded as “Farmer of Oxcliffe Hall”. 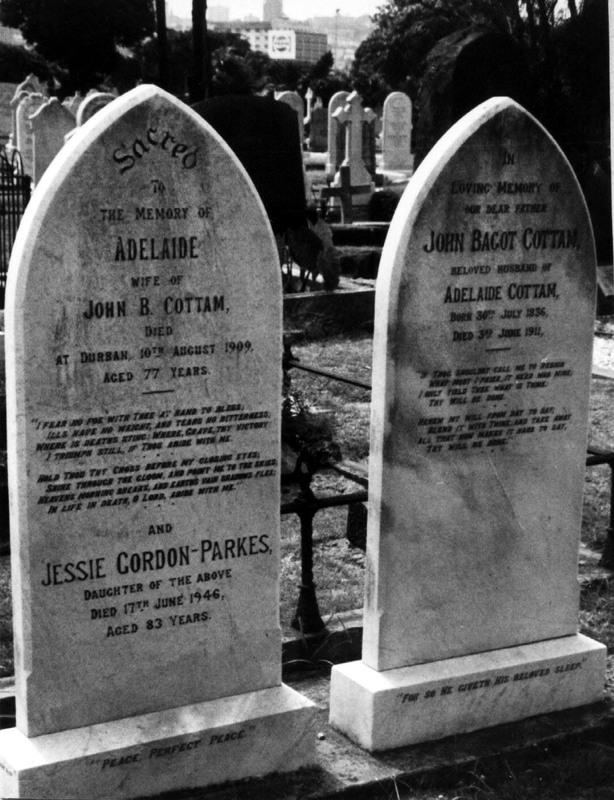 The only other Cottams found there in abundance were the children of Henry and Alice Cottam. 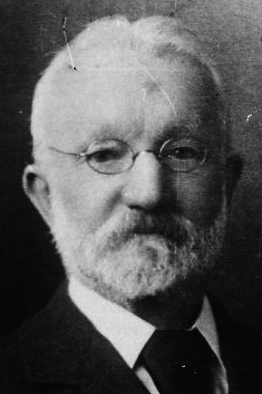 Henry was a “Farmer of Heaton”. The next step will be to find if John and Henry were brothers and who their parents were.